COME TO VISIT the last innovations of Lightning Impacts connected counter I FLASH REPORT, and the E.S.E. 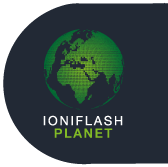 IONIFLASH MACH, N° 1 worldwide certified for CARBON IMPACT. on our stand F37 on ENERGIES LYON Exhibition, EUREXPO, on September 20 and 21st 2017.